At any other time, it would probably have slipped quietly past us all. But timing and circumstances were such that members and sympathizers of the grassroots organization Dump the Pumps, Inc. (DTPI) were on high alert, watching for still more sneaky and generally dishonorable Florida Department of Environmental Protection (FDEP) and Florida Keys Aqueduct Authority (FKAA) activity. 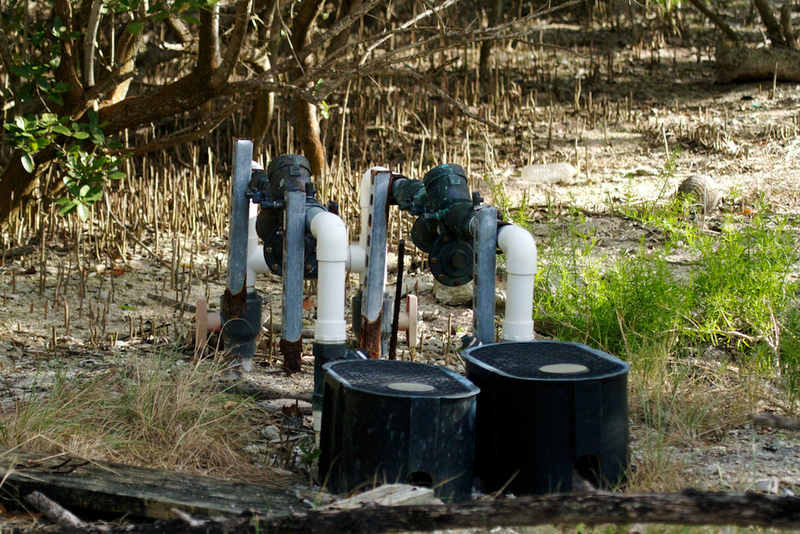 For years, FKAA had residents of the Cudjoe Regional Wastewater System (CRWS) region believing the agency’s project to connect their homes to a centralized sewage treatment plant would consist primarily of a gravity fed system with only a minor amount of outliers, out of necessity and due to their remote location, slated to be connected via less reliable low-pressure grinder pump [LPS] systems. When it was revealed that 2,800 households, most in dense subdivision areas, were going to get LPS hook-ups things started to heat up. First, there was Walter P. Drabinski and his Sir Isaac Newton Coalition [who managed to convince the County Commission to remove 1150 residents from the LPS installation list in his area]. DTPI was formed and has since continued the charge for equal treatment on behalf of the remaining ‘losers’ as Commissioner George Neugent referred to them at a Jan 31, 2014 BOCC meeting. When trying to get answers, DTPI researchers soon found out that FDEP wasn’t about to make things easy. When they asked for copies of permit application files they were first given excuses about how it was going to take somebody “quite awhile” to scan hundreds of pages of documents. What may have taken awhile was preparing a plan-set that contained only the index and typical detail sheets, with all of the actual design sheets removed! FDEP removed all but 37 of the 281 sheets! (leaving only 13% of the set intact). Right after the construction contracts became effective, FKAA published the plans on their website, but they pulled them soon after people began seeing what was in store. Daily checks of the FDEP website (that was stated to contain all documents pertaining to permitting activity in the CRWS) turned up quite a surprise. 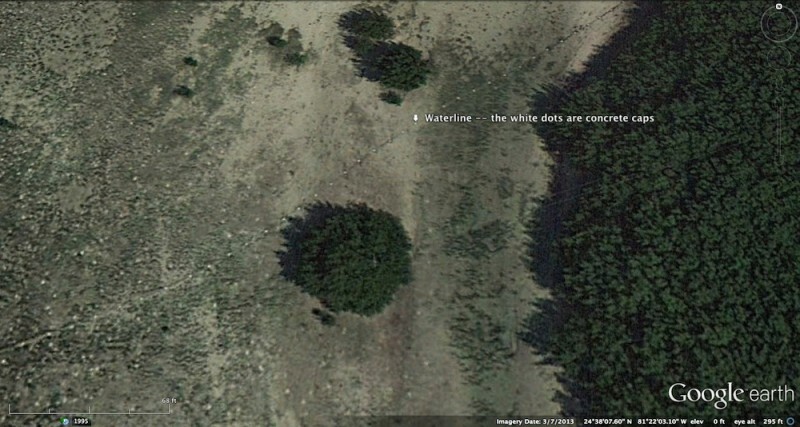 DTPI knew that the exclusive offshore five-star resort known as ‘Little Palm Island’ had requested to be included as a customer in the CRWS. They also knew that its inclusion had meant a large upsizing of Big Pine Key’s master sewage pump station, plus increasing the diameter of the Long Beach Road sewer forcemain pipe. They knew that the contractor’s change order for adding that came to $ 453,940.03. The great mystery, however, was just how Little Palm Island would get their resort’s sewage from the island to the end of Long Beach Road, almost 3 miles away. There had been an article in the Big Pine local paper, the News Barometer, some months before that spoke of possibly converting an abandoned water main to a sewer forcemain, but that seemed unlikely. Questions immediately came to mind. Why was the water main abandoned? How good could it be if it was scrapped? Perhaps a new forcemain would be directionally drilled from Long Beach Road to the island, but that would be very expensive since it is nearly 3 miles away. They were shocked by the answer provided by a new permit that FDEP announced they intended to issue to the resort. Little Palm Island gets its water supply from FKAA by way of two water meters at the southern end of Long Beach Road. 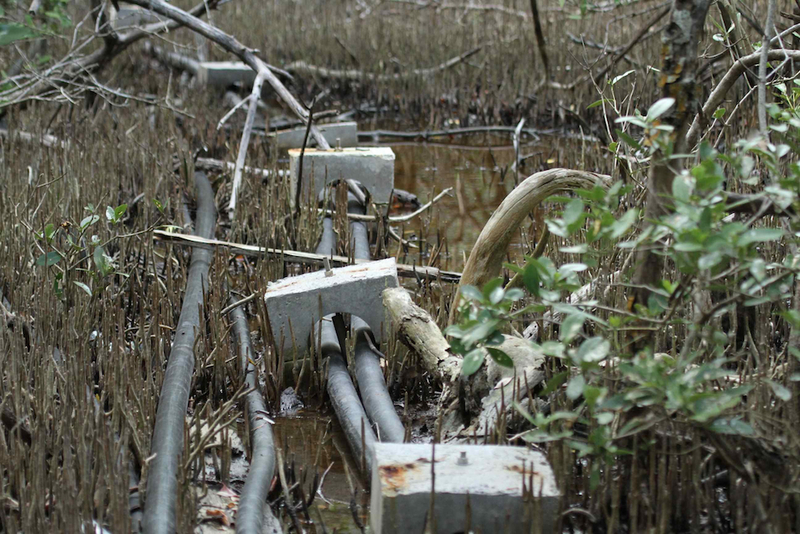 A few people were aware that there are black plastic pipes laying on top of the ground and running through the tidal salt marsh that carry the resort’s water to the island and some local flats fishermen knew that these pipes then ran exposed across the shallow waters of Coupon Bight Aquatic Preserve. 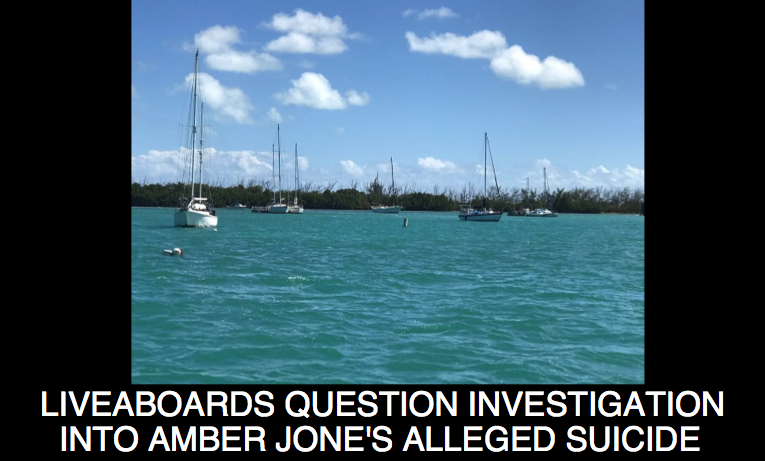 They knew that the soft HDPE plastic pipes were sometimes hit by boats traversing the flats, slashing them open and disrupting the resort’s water supply. 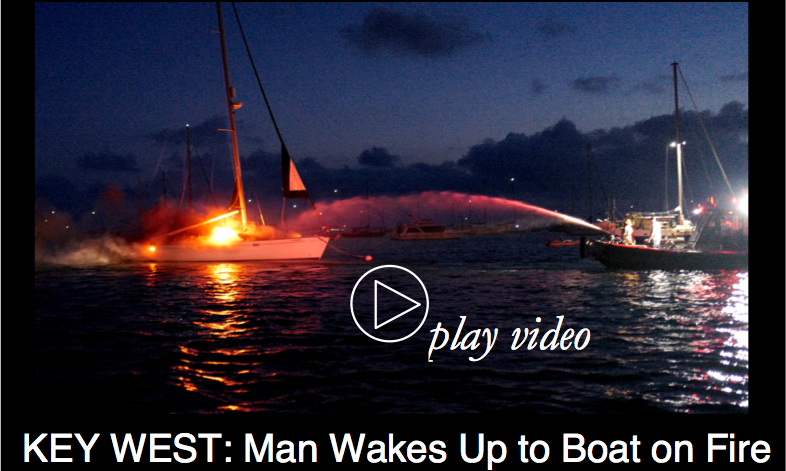 The resort would then send out a boat crew to follow the pipe to the break to make repairs. The boat and the repair activity would silt up the water and disturb the fish they were trying to catch, and they were irritated. They could get a lot more irritated if what FDEP intends to permit is allowed to manifest. Why and how the navigable waters of Coupon Bight came to be obstructed by an exposed subaqueous water pipe carrying chloramine disinfected water could be the inspiration for the next John Grisham novel. Chloramine disinfectant is a combination of chlorine and ammonia and is a standard additive used to make drinking water more safe. While mildly toxic to humans, it can be fatal in even low concentrations to some aquatic life. 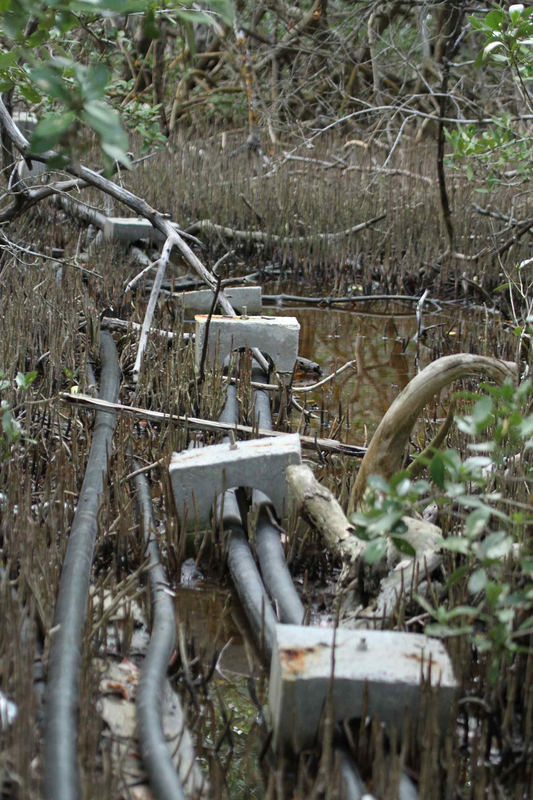 There are a total of five water pipes now observable through the marsh, three of which are abandoned. Perhaps Hurricanes Georges or Wilma destroyed the abandoned ones, or maybe they’d been repaired so many times that there was more ‘repair’ than original pipe. Perhaps the existing waterlines were indeed permitted by FDEP and were installed according to permit conditions; perhaps not. These questions have yet to be answered. The two active 2” water service pipes are stabilized by being run through concrete collar blocks. These same concrete collar blocks anchor the water pipes as they cross the flats. The older water pipes would sometimes float, which made them even easier to be hit by boats. Now fishermen also complain of damaging their propellers from hitting the concrete blocks! 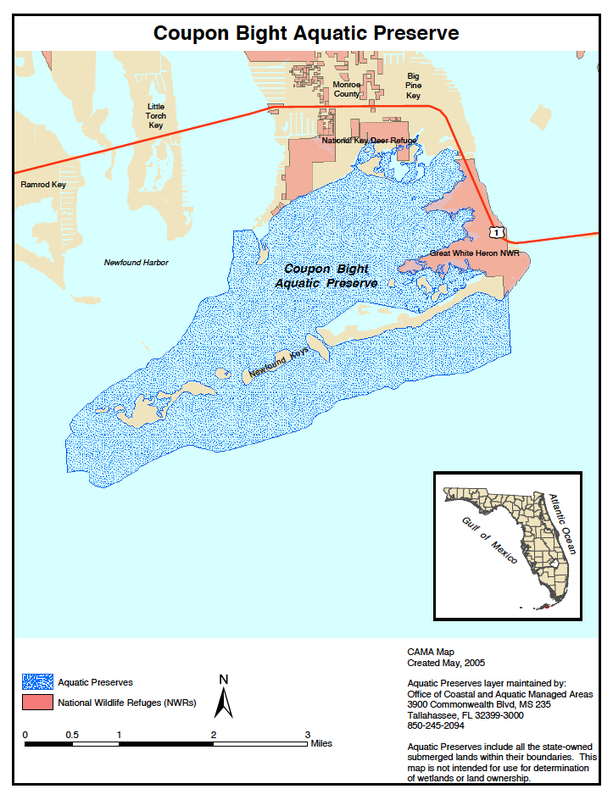 Anyone who has ever tried to get any type of construction work permitted in the Keys, either in the ocean or anywhere even close to the shoreline, understands that FDEP’s decision to allow placement of the existing uncovered water pipes, in a navigational area, inside an aquatic preserve is highly questionable. The permit approved by FDEP allows the resort to convert one of the two active water mains into a sewer main. The two pipes, shown in the photos above, lie within inches of each other for almost 3 miles! The pipes are not marked for identification of contents, and in fact, no markings of any kind were found on the pipes. Maybe they washed off, or maybe they were never imprinted. There is no way of knowing by looking at the pipes what pressure they are rated to withstand or whether they are even NSF [National Sanitation Foundation] approved to carry raw sewage. 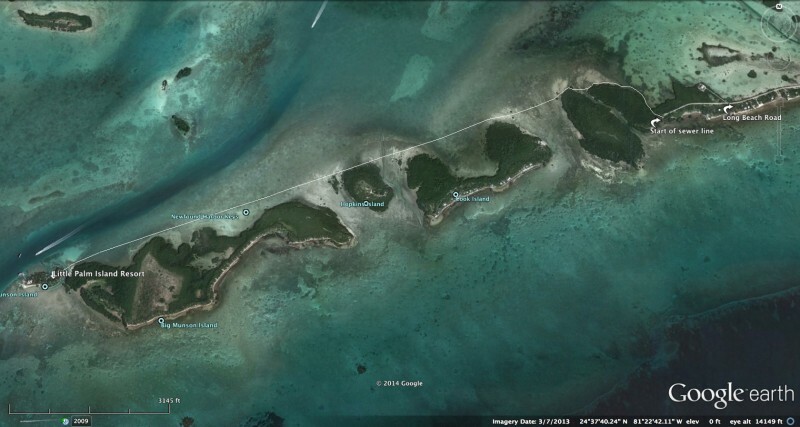 The proposed converted sewer pipe, which has been exposed to ultraviolet sun rays, abrasion and embrittlement for a number of years, is in close proximity to recreational beaches on Picnic Island, Bahia Honda State Park, and the Scout Camps across Spanish Harbor. Any breach in the pipe could not only hurt nearby aquatic life including protected patch corals, but it could contaminate recreational swimming areas with E-coli and other harmful bacteria. FDEP permitting protocols require confirmation of compliance with strict ‘stream crossing’ regulations. As one would expect, the engineer attested that all was well. Considering that this is to be a pipe carrying raw macerated sewage across one of the most environmentally sensitive areas in the state of Florida and considering that this is a conversion of one of two water pipes lying parallel in close proximity to one another [pipes that did not require the 10 foot separation that a water and sewer pipe would require], shouldn’t one expect a little more suspicion and scrutiny from the agency charged with protection of the environment and public health? Little Palm Island currently has an operating permit for a 20,000 gallon per day package plant that is designed to meet the state mandated “best available technology” standard. The effluent is injected into a well, cased to at least 60 ft. Surely that is safer for the environment and public health than a gashed-open pipe gushing raw sewage into the nearshore ocean waters? 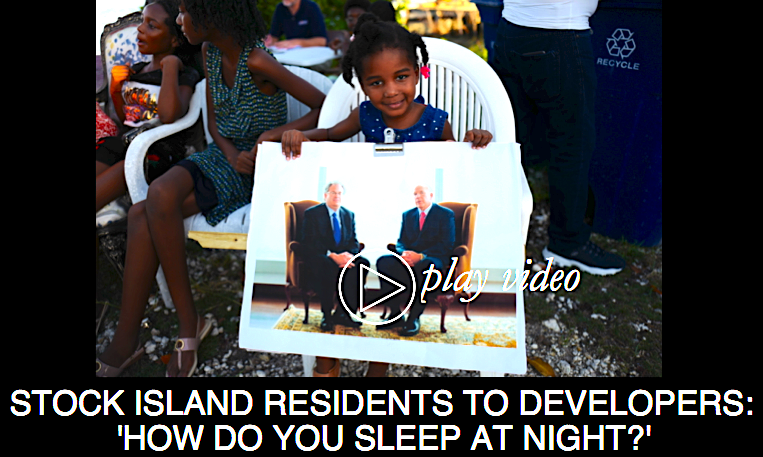 For this and other reasons, DTPI decided this permit and several others could not go unchallenged, and filed a formal protest through their attorney Robert Hartsell from Pompano Beach. If a properly formatted protest, called a “Petition for Administrative Hearing”, is filed within 14 days of the publication of a Notice of Intent to Issue a permit, then the permit does not go into effect until after an Administrative Hearing is held, and then, only if the permit is upheld. [But that has not stopped FKAA from working without a valid permit on five other contested permits. FKAA Executive director Kirk Zuelch announced on US1 Radio that they would continue working until FDEP told them to stop. Then, County Commissioner George Nugent announced on US1 Radio that he had spoken with “the head of FDEP” who said to go ahead and continue construction without valid permits.] Construction continues to this day despite the fact that the permits are invalid by law as a result of the filing of administrative challenges. FDEP has 15 days, per Florida Statutes, to refer a Petition for Administrative Hearing to the Department of Administrative Hearing (DOAH) for assignment to a judge. FDEP, however, sat on the permit protests until DTPI filed a motion known as a Petition for Writ of Mandamus in Circuit Court to force them to perform their legal duty. The Little Palm Island permit and the others were finally referred to DOAH shortly thereafter. Only Governor Scott has authority over FKAA’s Board of Directors, who have been kept well aware of the situation and have chosen to ignore it all, as has Governor Scott. Representative Holly Raschien claims she is “watching” it. [Like a spectator, watching a crime in action?] Scott just ignores it completely. What did the FDEP Inspector General do? Eight days after the complaint was filed, FDEP Inspector General, Candie Fuller, acknowledged receipt and two days later she said her ‘investigation’ had revealed that FDEP management and counsel were “handling” the matter so no action was required by her office. So, a complaint about the fox in the henhouse is dismissed when the Inspector General is told that those very same foxes are “handling” the issue. The Inspector General’s motto and mission is “Enhancing Public Trust in Government.” They are doing a mighty poor job of that. 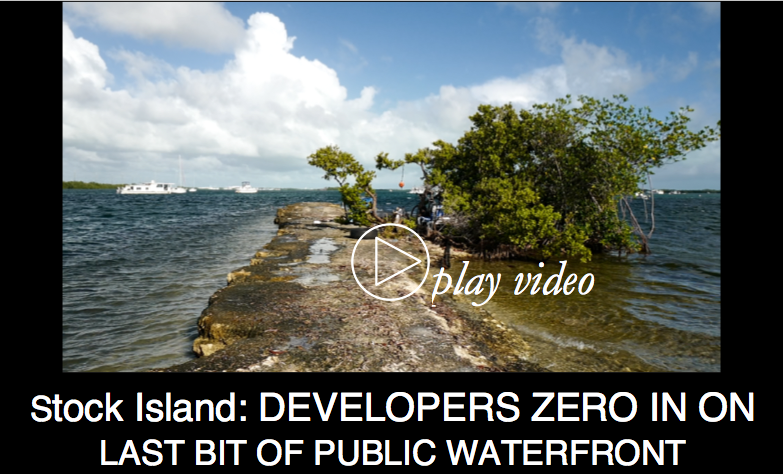 Note from DTPI: The above article is not meant as a condemnation of Little Palm Island’s management or owners, who rely on paid professional engineers and public servants to handle these details, but it is certainly a condemnation of our public agencies’ environmental stewardship. 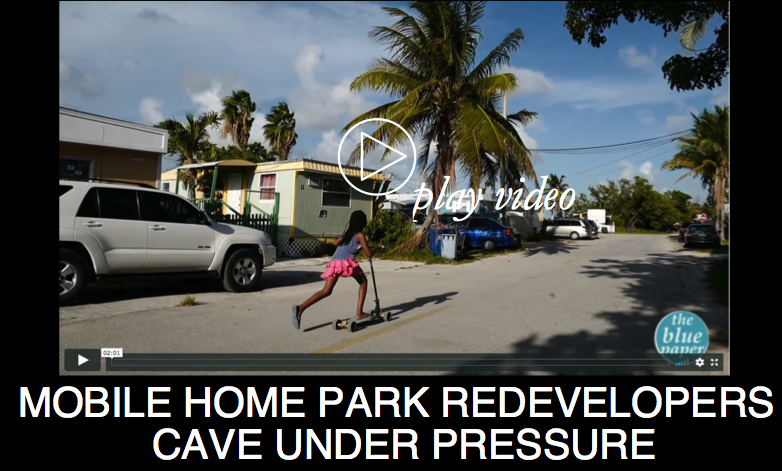 The issue of Little Palm Island’s sewer main is just one issue among many. Please visit dumpthepumps.com to learn more about why you too should be alarmed about what’s being planned for the CRWS. Dump The Pumps was formed by citizens of Monroe County to demand that their voice be heard regarding the Cudjoe Regional Wastewater System (CRWS) which includes Sugarloaf to Big Pine Keys and to monitor and fight for the ongoing construction and financing of wastewater systems throughout Monroe County. 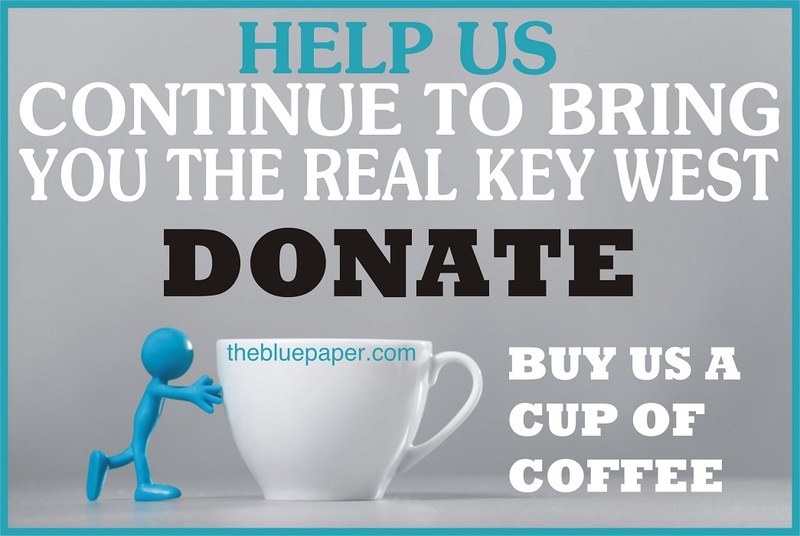 DTPI members believe that the Florida Keys Aqueduct Authority (FKAA) has ignored the interests and concerns of their customers and that County Government has not effectively controlled or monitored their decisions. The CRWS is a $ 150 million project with no oversight, no acceptance of input from its customers, and a continued stream of misinformation. To date 1460 people have signed the petition in support of the DTPI cause. To learn more about DTPI and the specific issues and how you can hlep, visit dumpthepumps.com. Are you outraged? Members of Dump The Pumps, Inc are. When you request a permit to bore an injection well that may adversely affect nearby property or the environment, the Florida Statutes require you to publish the DEP’s “Notice of Intent” to issue the permit in “a newspaper of general circulation in the area affected”. The DEP allowed that the statutory requirement was met by FKAA publishing the Notice in the Broward-Palm Beach County newspaper Sun-Sentinel. Are we alone in believing that the state agency, FKAA, intentionally circumvented the intent of the Florida Statutes to conceal from the public that they were going to use shallow injection wells where they are destructive to the environment? Is the state agency FDEP, not only letting state agency FKAA do whatever they want, but even assisting them in violating laws? Who regulates the regulators? The FKAA’s Board of Directors seem oblivious or generally unconcerned with what we view as flagrant deceit and mismanagement at FKAA. Our elected representatives don’t seem to care, either. And those tasked with oversight at the state level have taken the easy way out. Maybe a judge will uphold the rule of law? Dump the Pumps, Inc. is taking DEP and FKAA to court to compel enforcement of state and federal regulations. No doubt it will be expensive and this non-profit grassroots organization is totally dependent on contributions to fund the battle. Hearings on DTPI’s six administrative challenges have been set for the week of August 4th, 2014 to be held before Administrative Law Judge, Donald Alexander, in Judge Ruth Becker’s Courtroom B, at the Marathon Sub-Courthouse, 3117 Overseas Highway, Marathon 33050. The battle is far from over. It has just begun in earnest. Please assist. Finally this story is being investigated- once again by the bluepaper.com. Thank you, because hardly any other media has looked closely at what has become a terrible example of government arrogance, stupidity and cheating! This pressurized sewer system is worse than the Hickory House screw up by a hundred times, but once again (from my view ) it’s not so much what they do , but how they get away with it.I voted for that one cent sales tax for sewers and what did we get? Thanks to the people who are exposing this fraud. Shame on our County Commission. Thank God for Dump the Pumps protesting the issue of this permit! With no alarm mechanism to alert that the sewer pipe had been cut by a boat prop, can you imagine the damage caused by 20,000 gallons a day of raw sewage gushing into the Coupon Bight Aquatic Preserve until somebody reported that there was an oily slick and really nasty water in the area? Perhaps goodbye to the coral communities of the Sanctuary Preservation Area on the south side of the island? 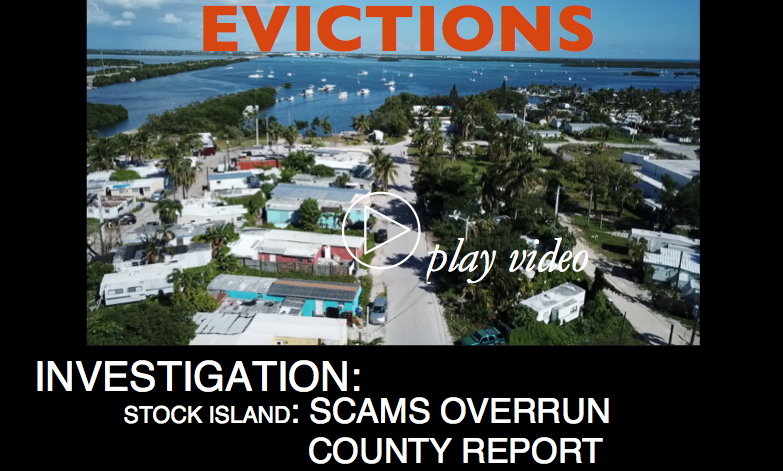 Finally some good has come of the deceit and fraud that has been the hallmark of the Cudjoe regional sewer system. If FKAA had not been so deceitful, overbearing and cold-hearted in implementing their idiotic grinder pump sewer system, then Dump the Pumps would never have been formed and nobody would have contributed to their legal fund that made this protest possible. If DEP had not been so deceitful and negligent in their every duty, nobody would have been watching for more of the same. It reflects very poorly on all our elected officials, the FKAA Board of Directors, Governor Scott and his agency overseers that any of this illegality and irresponsibility has been allowed to continue in spite of repeated alerts from the citizenry. Many heads should roll in government and their agencies. it is time to clean house and remove the corrupt and idle.